It appears the HTC Vive opened up the VR floodgates as droves of fans piled onto the pre-order site. HTC's Shen Ye said in a tweet that 15,000 units were sold in under 10 minutes. However the numbers are still unofficial. We reached out directly to HTC for confirmation and a company representative stated: "We actually don't comment on sales numbers so I can't share anything official." 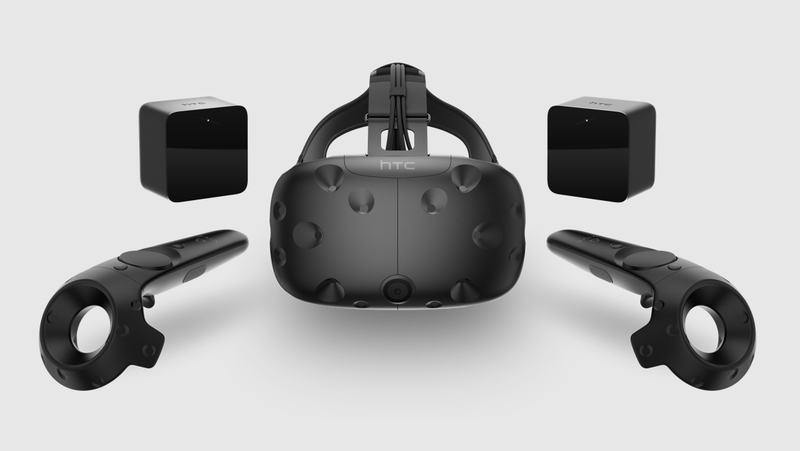 The HTC Vive costs $799 with pre-orders opening on 29 February and the headset is set to ship from early April. The US price is a good $200 more expensive than an Oculus Rift but, to be honest, we were just hoping for something under $1,000. And when you think about it, the $799 does include two controllers, the Lighthouse base stations, some ear buds plus copies of the games Job Simulator: The 2050 Archives and Fantastic Contraption. HTC also announced that Google's Tilt Brush app, which lets you paint in 3D, will also come as part of the Vive package for anyone who pre-orders the device. It's still a lot of money and will no doubt mean the HTC Vive is the most expensive choice you can make - Sony's PlayStation VR doesn't have a price yet but we doubt it will cost more than a Rift. HTC also announced some new features and refinements at MWC 2016 - the front-facing camera we tried on the Vive Pre at CES is staying. There's a more refined headstrap, updated motors and HTC reckons it has made the headset more comfortable. The only real new feature is that the Vive will be able to connect to iPhone and Android phones to deliver alerts and messages when you're in VR. It's called Vive Phone Services and, like the camera inclusion, seems to want to help people spend time in VR games and movies while keeping in touch with the real world. The HTC Vive pre-orders opened in 24 countries, on 29 February, and bundles with PCs will be available (though we don't have any details from Valve or HTC yet). Retail availability, in the UK at least, is set for 5 April.